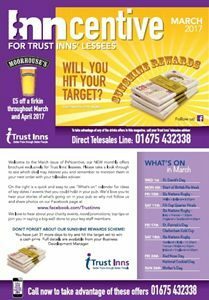 Because we understand that it’s great people that make great pubs, Trust Inns make it their priority to find the right people to run our pubs. 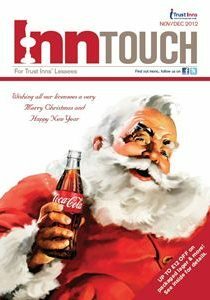 In fact there’s nothing more important to us. 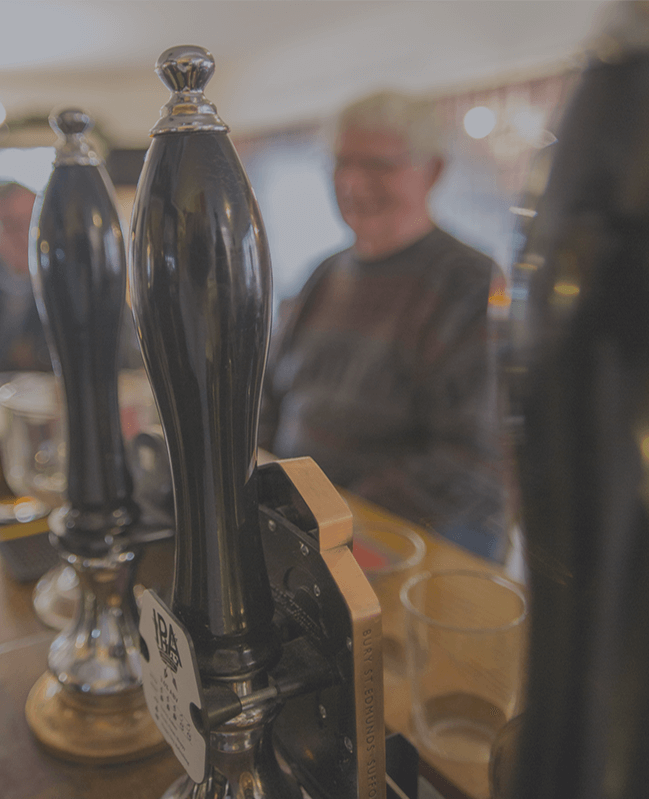 So throughout this website you’ll find help and advice, information and contact details to help you make a considered choice about, not only whether you would like to run a pub, but whether you’d like to run a Trust Inns’ pub. 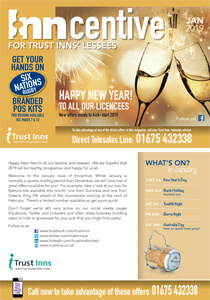 Trust Inns has been working with individuals and private enterprises to run its pubs for over 20 years. 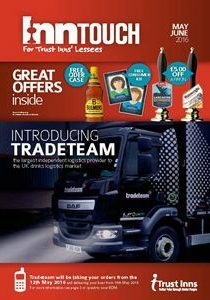 And the majority of our head office and field support teams have worked within the industry for years before that! 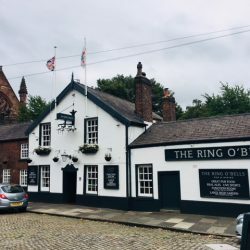 Needless to say, our years of experience mean that we have been able to develop a service that truly understands the needs of an individual tenant or lessee and we’re able to share that with you, if and when you need it. 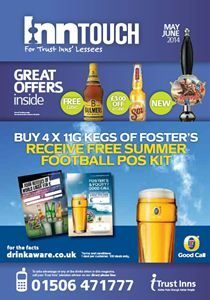 For extra reassurance, we also have a minimum set of standards that we pledge to uphold in our Code of Practice. 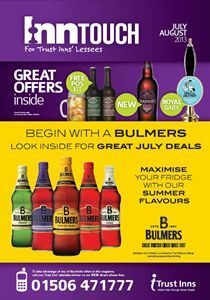 The Code is supervised by the Pub Governing Body and covers key areas of our relationship with you such as rent reviews, agreement renewal and each other’s commitment to the working relationship. 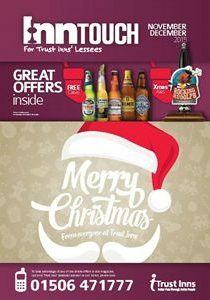 Located within Southport Town centre. 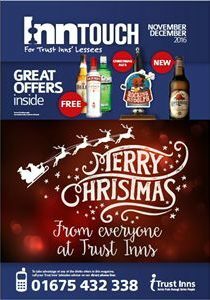 On Hoghton Street opposite central railway station. 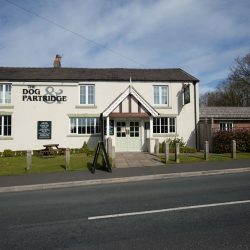 Located within the main shopping area of the town. 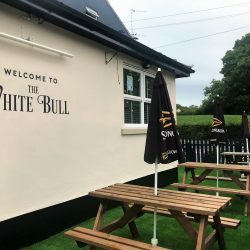 Situated in the Town of Aspatria,with excellent transport links to both Carlisle and Workington, The Red Lion is a friendly community pub adjacent to sought after private housing, excellent secondary school nearby and shops in the centre of town. 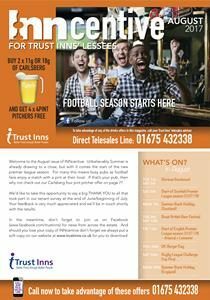 Not only do Trust Inns offer excellent and competitive deals to tempt you, we also provide a support package that we believe is second to none. 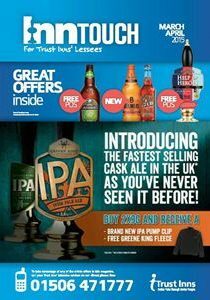 This includes marketing support, training and a dedicated Business Development Manager per pub. 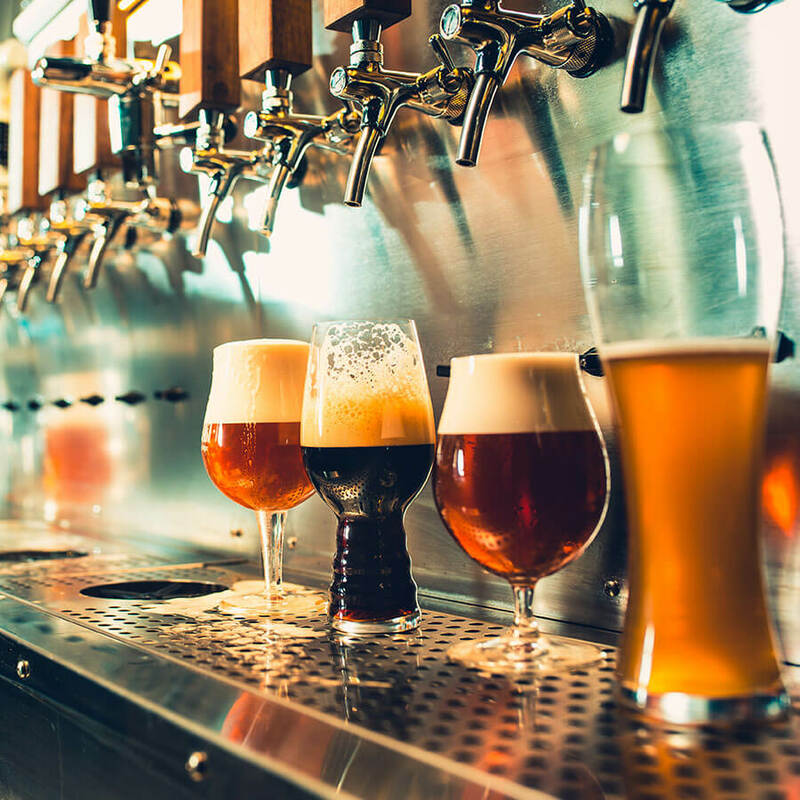 Our recruitment process is deliberately simple to help you acquire your perfect pub business quickly and simply! 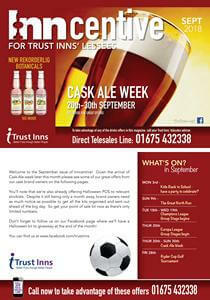 The Business Development Manager for the pub will contact you by phone and discuss your interest in the pub. 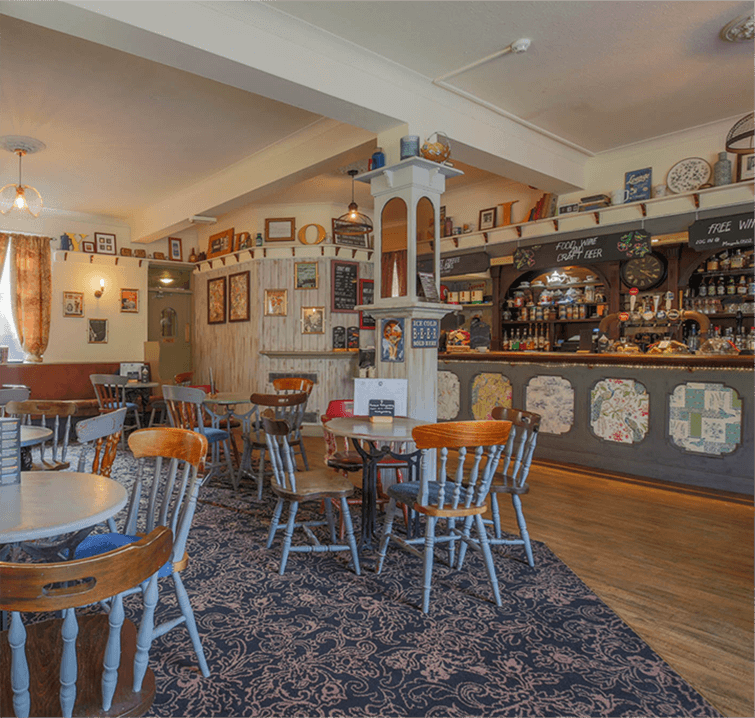 You will have a full viewing of the pub and are supplied with trading history and information to compile your business plan with your independent advisors as well as a blank copy of the tenancy agreement. 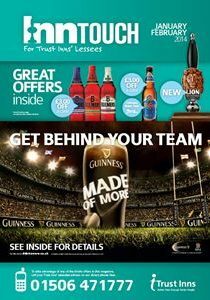 Click here for the BBPA Business plan. 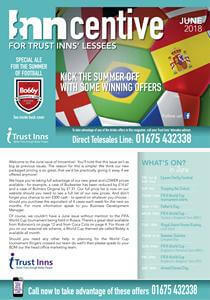 Meeting to discuss your business plan and the letting terms. 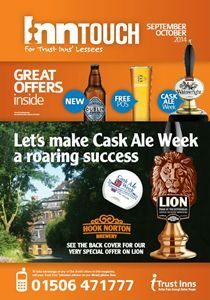 Final interview – if successful an offer will be sent to you and a date for you to start your own pub business is set. 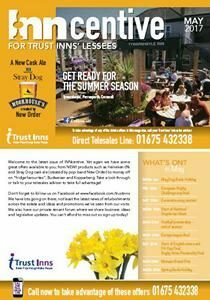 Should you find a pub that you are interested in, then either contact head office on 01257 238814 OR complete our online introduction form and we’ll contact you. 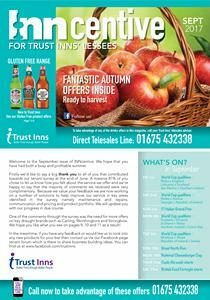 Please note, by completing the introduction form you are simply registering your interest in finding out more about our current and future vacancies. 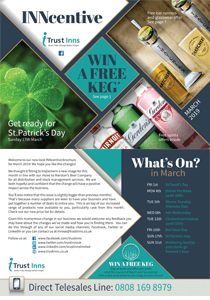 Even if you can’t find what you’re looking for, we would encourage you to register with us so that we may contact you in the future should another vacancy arise that may be of interest. 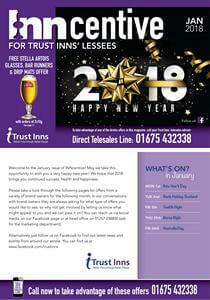 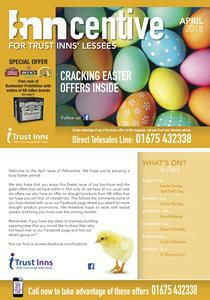 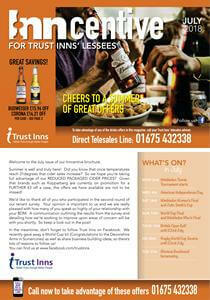 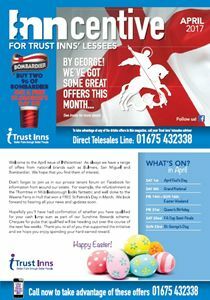 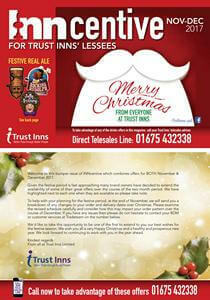 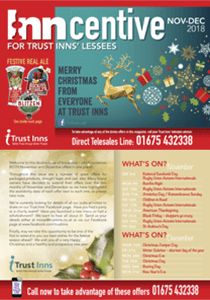 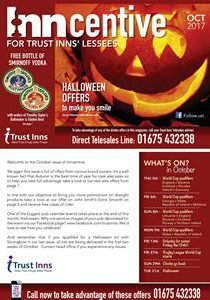 Please note that Trust Inns takes pride in being flexible in our approach to getting the right people into our pubs. 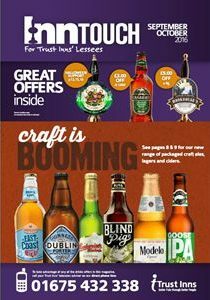 Should you have a great business plan for one of our available pubs then please get in touch and we would be happy to negotiate terms. 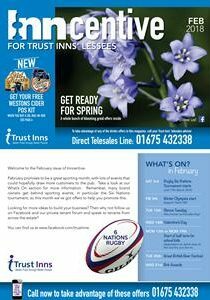 Trust Inns is dedicated to regularly investing in its estate; whether that’s large projects, development projects or smaller maintenance works to improve the quality of our estate and business offer. 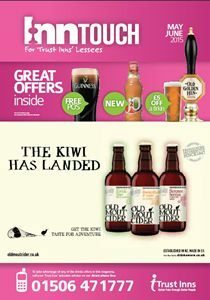 Here’s just a few of our recent examples. 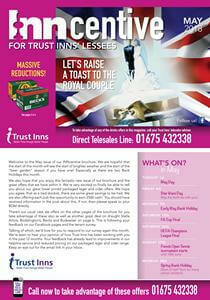 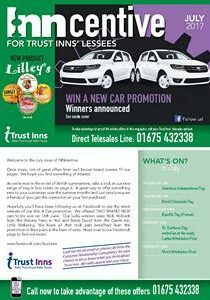 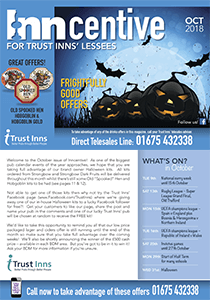 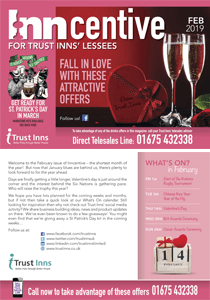 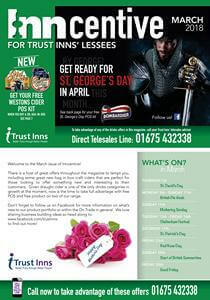 As a Trust Inns’ lessee you’ll receive a copy of our bi-monthly offers magazine, Inncentive, by post. 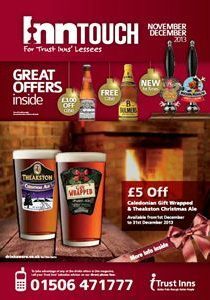 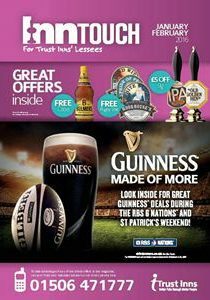 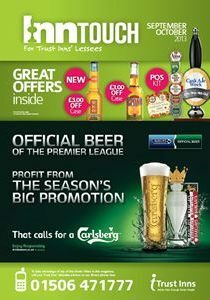 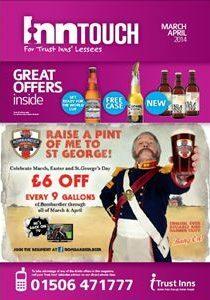 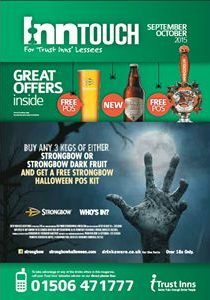 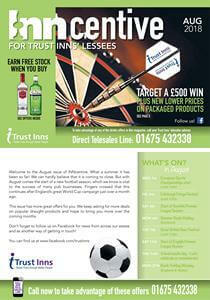 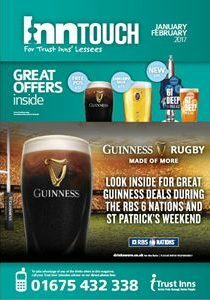 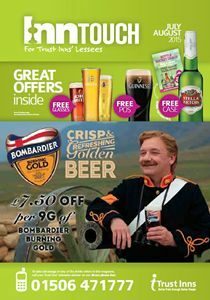 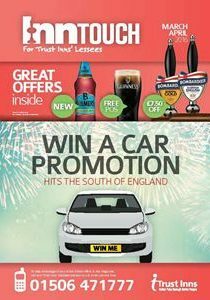 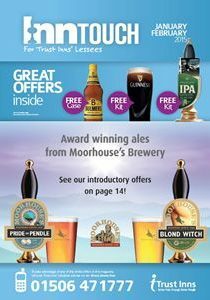 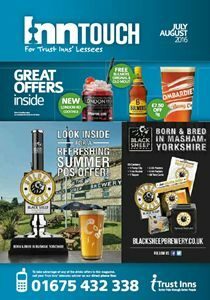 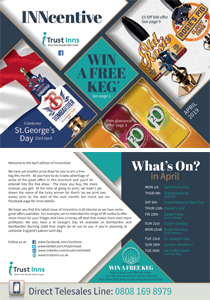 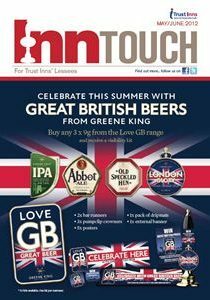 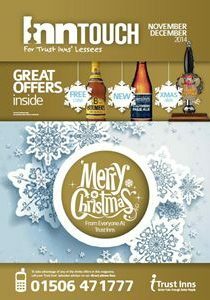 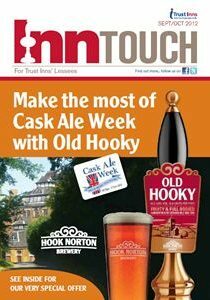 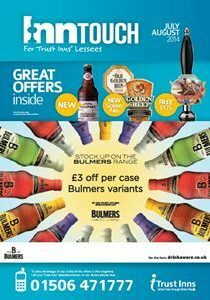 This is full of great offers and deals from a variety of brand owners to offer support for their products in your pub. 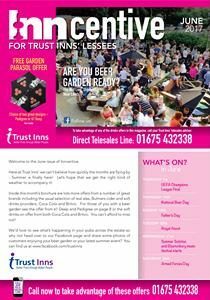 If you’re not currently a lessee but would like to find out more about our business and what goes on each month then why not download a copy to find out more?